Becca Keller is no stranger to the way war can change a man. Her Vietnam vet father, King, has been more out of her life than in. Her mother boycotts her wedding because Becca is making the same mistakes she did yoking herself to a man just back from battle. And Ben is different after his second tour. Within days of the wedding he turns dangerous, and Becca runs to the only person she has left.King, though, is heading West with his motorcycle buddies, out to a place they call Kleos. A mysterious desert compound ruled over by a guru-like commanding officer, it is a refuge for some soldiers, but might be the death of others. There, Becca will be faced with the possibility that she may not know the real damage in her loved ones hearts. In finally seeing her father's demons, she might just be able to start with her husband on their own journey back to peace. 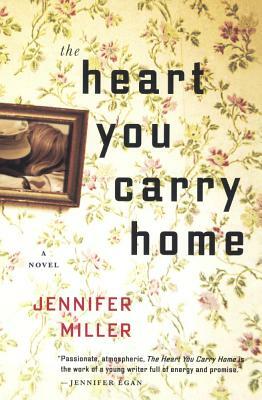 "The Heart You Carry Home"lays barethe violence soldiers bring home, as one woman fights for the men in her life who have been scarred by different wars in disturbingly similar ways.It combines great storytelling with social questions that are both as current and as old as war (Karl Marlantes). And it mines the trials of generations of American families to find hope for the next.